“*Gasp*…you don’t shop online? !” is my literal expression after numerous people have told me that they don’t shop online. It’s the world at your finger tips. Why wouldn’t you do it? So, I’ve heard the reasons that you don’t and I’m here to ease you into uncharted online shopping territory. Grab a notebook and get this class werk! In the online shopping world, it is possible to be several different sizes depending on the retailer. To avoid buying pieces that are all too small or large, plan to spend a few extra bucks to make sure you get the right size. Order the size that you think you are according to the sizing chart and one size smaller and/or larger. Return the items that don’t fit. It’s a complete waste of time to wait to get the proper size after re-ordering, especially if you’re on a timeline. Also, you run the risk of the item selling out while you’re waiting for the original package to arrive. Before you click the ‘purchase’ button, read and understand the return policy. Most retailers offer a 30-day return policy with free shipping but there will be some that have a restocking fee or charge shipping on the returned items. Also, check to see if the items can be returned to a brick and mortar location. Note: Try items on as soon as you receive them. Repackage the items that you want to return and send them off to the post office within 24 hours. Nobody has time to keep unwanted items because of a missed deadline. Keep an ongoing shopping basket or wishlist at your favorite online sites. If the price on an item in your cart has dropped or is close to being sold out, retailers will often notify you directly in the cart or via e-mail. If you’re a loyalty club member, you might get that good discount code sent straight to your inbox. Always get a second opinion! Never buy anything without first checking sites like Retail Me Not for discount codes. If there are a particular pair of shoes that you like and you know that the brand is sold at multiple retailers, search for discount codes at each. You’ll find that sometimes, those shoes are priced differently depending on where they’re sold. Also, check out sites like Shopstyle that aggregate tons of styles and will direct you to the retailers’ sites to purchase. Don’t toss receipts, tags or packaging until you are completely sure that you want to keep the item(s). Without a receipt and packaging, you may not be able to return the item, so be mindful of this. After following this list of tips, there is no reason that you can’t delve into the world of online shopping. Sure, you don’t get the immediate satisfaction of having the item right away but you will literally open yourself up to all the options that the world has to offer. Literally, THE WORLD. 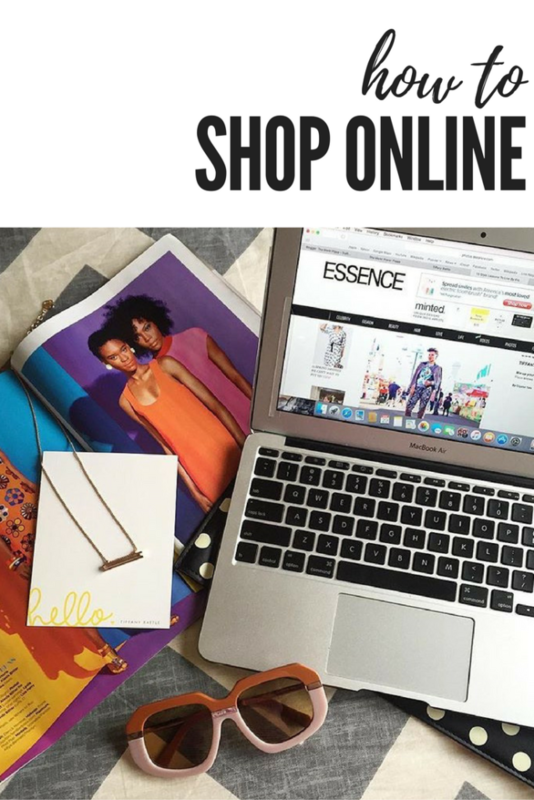 For my other professional online shoppers, feel free to share your tips in the comments section.